Dr. Kenneth Grossberg, Professor of Marketing at Waseda Business School, sat for an interview with Tokyo Nexus. 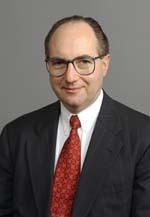 In 1985, Professor Grossberg joined Citibank as Vice President and Chief of Strategy for their Consumer Services Group in the Asia Pacific region. As Chief of Strategy, Professor Grossberg was responsible for managing Citibank’s strategic planning process in ten Asian countries and for creating and directing the bank’s successful consumer banking strategy in Japan. Reid Monroe-Sheridan of Tokyo Nexus sat down with Professor Grossberg for an interview in his office at Waseda Business School to discuss consumer marketing and market entry in Japan, the Waseda Marketing Forum, and innovation in Japan and Israel. What follows are select portions of that interview, which have been edited for clarity. You can reach Professor Grossberg by email at kengross@waseda.jp. You can reach Reid Monroe-Sheridan by email at reid@tknexus.com. More information about Tokyo Nexus is available here. This is a continuation from part one of our interview with Professor Grossberg. KG: Indulgent parsimony is a concept I developed after the stock market crashed in 2008. I saw consumer goods companies floundering because suddenly their target markets were suffering a meltdown. But I could see that people still felt a need to indulge themselves. There are two fundamental components to indulgent parsimony. There’s a rational practical aspect and a psychological emotional aspect. 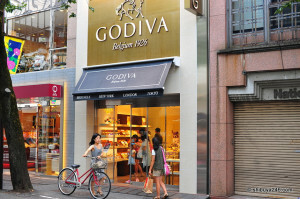 Godiva has worked to capitalize on “indulgent parsimony” consumption in Japan. There are two fundamental components to indulgent parsimony. There’s a rational practical aspect and a psychological emotional aspect. The whole idea is that you are treating yourself. However, very often and especially in times of scarcity, when you treat yourself, you feel guilty about it. But what if the offering that the company provides the consumer is such that you treat yourself but you also think you got a great deal so you don’t have to feel guilty about it? Then there’s a double benefit. Think about a company like Starbucks, which sells an expensive cup of coffee, but a cup of coffee that people continued to buy during the recession. People cut down, but they would still treat themselves by going to a Starbucks because they felt it was not a waste of money. It made them feel good. They felt it was an affordable luxury. To give you a specific example in Japan, take Godiva. 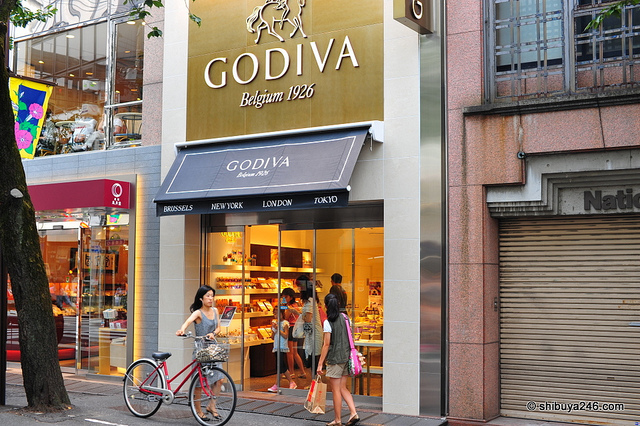 Godiva modified their strategy to include items that could be sold in Japanese convenience stores. This is obviously indulgent parsimony because it is a spontaneous impulse purchase, something that’s affordable but also luxurious and gives you a sense of wellbeing. Despite improvement in the economy, as a marketing concept I think “indulgent parsimony” is still very relevant today. Tokyo Nexus: Tell us about your Startup Nation Study Tour in Israel. 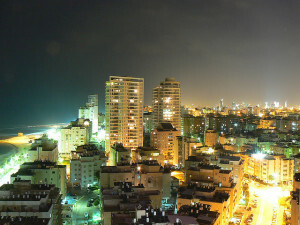 Dr. Grossberg’s Startup Nation Study Tour visits Israel each year. The Startup Nation Study Tour was inspired by the book Start-Up Nation by Dan Senor & Saul Singer, which describes the startup ecosystem that has evolved in Israel and enabled Israel to be the second largest center for start-up development in the world after Silicon Valley. Serial entrepreneurs are quite common in Israel because past failures do not stop them from founding new companies. Since I study global marketing innovation and many of these startups are highly innovative in the products they bring to market, I thought this study tour would stimulate non-Israelis to generate new ideas for their own businesses. The idea is to actually visit these start-ups, entrepreneurs, venture capital firms, incubators and accelerators and universities. The Startup Nation Study Tour has been an ideal way to introduce businesspeople to this phenomenon: Israel is a small country, it’s easy to navigate, the climate is very good in the summer, the food is wonderful, and there are many things to see. As part of this tour, Japanese executives get to see how Israelis develop a business plan, implement it, and then how they continue even if they fail, try something new, and do that until they finally succeed. 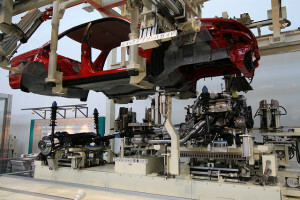 Targeting Japan works because there is broad understanding of the need to innovate and many Japanese executives need to learn more about how to do this. As part of this tour, they get to see how Israelis develop a business plan, implement it, and then how they continue even if they fail, try something new, and do that until they finally succeed. In Japan, many executives still manage by template. Israel is a place where there’s no template. I know that makes many Japanese managers feel uncomfortable. However, it’s good to see how that environment works. I keep the tour small so we can have lots of interaction and so we can fit into a great restaurant around one table! The first tour was the summer of 2012, and we had the former head of Hitachi Asia Pacific as one of our participants that time. In 2013 we had a manager from Suntory Innovation Center on the tour, and this August the head of the London branch of the Clinton Foundation has signed on for the third running of the Study Tour. Tokyo Nexus: Israeli venture capitalists and entrepreneurs often say that Israeli culture is conducive to a thriving startup ecosystem. What elements of Israeli culture are beneficial in that respect? KG: Generally, the structure of an Israeli company of this sort is flat. They don’t have much hierarchy. People address each other on a first name basis. People behave in a way which even American executives might consider disrespectful to one’s superior. In Israel, people are very free about expressing their opinion, to a degree that would be shocking to a Japanese manager. People are very free about expressing their opinion, to a degree that would be shocking to a Japanese manager. The concept of politeness in Japan incorporates the idea that you try to anticipate what the other person wants you to say. Israelis never think about what the other person wants to hear, which of course can also be a weakness. Israel is also small and there are a large number of important networks. 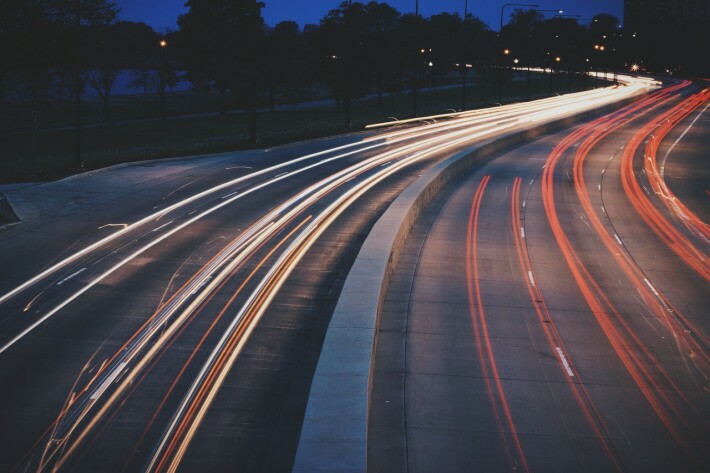 Japan is a country known for its networks but Japan is also known to be a country of silos, and of not-invented-here syndrome, which can be very, very damaging. In Israel, most people have served in the Israeli Defense Forces and they know people from their time in the IDF. They keep these friendships all their lives. There’s also probably less gender discrimination than in Japan as it pertains to contribution to innovation and strategy for a company. Tokyo Nexus: The IDF is commonly mentioned as a source of training for engineers. KG: Yes. The book Start-Up Nation mentions how certain elite units within the IDF were training grounds for people who then took their skills and experience and applied them in civilian markets to great success. There is that, definitely. Tokyo Nexus: What lessons from the success of Israeli companies do you think would be easiest for Japanese companies to implement? What’s the lowest hanging fruit? 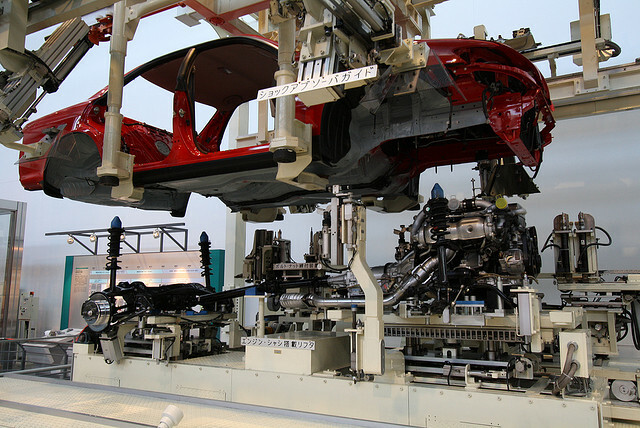 Many Japanese companies are known for their skill at kaizen, or continuous improvement. KG: Japanese companies are very good at kaizen [continuously improving products and services] and creating products with zero defects, two areas where Israelis are generally not very strong. Japanese companies could easily form partnerships with Israeli companies that lack scale and financial clout and become world-beaters. That’s the easy one. Indeed, there is a startup incubator called Samurai Incubate where the director moved to Israel this May to set up shop to learn all about the venture business in Israel. This is a new development. There have been probes and some investments in the past. I think this movement will gain more traction as time goes on because Japanese companies still have a strong desire to succeed as long as they don’t have to sacrifice their culture. Another area where I think there would be real synergy between the Japanese and the Israelis is scale. Certain countries, like Japan, are known for having empire builders who keep on building and building until they’re large multinational corporations. I think there’s a real opportunity for mutual benefit through business collaboration. Another area where I think there would be real synergy between the Japanese and the Israelis is scale. Japanese know how to bulk up because they know how to create large organizations. Israelis, on the other hand, often cash out. Certain countries, like Japan, are known for having empire builders who keep on building and building until they’re large multinational corporations. That takes a different attitude. There too, I think there’s a real opportunity for mutual benefit through business collaboration. Tokyo Nexus: What are some successful examples of these Japan-Israeli partnerships? KG: When Japanese companies end up acquiring a non-Israeli company abroad, occasionally that foreign company will either have an R&D center in Israel or own a part or all of an Israeli subsidiary. That’s what happened, for example, with Takeda Pharmaceuticals. And Japanese companies have begun making acquisitions of Israeli companies directly, as Rakuten did recently in its purchase of Viber Media. Tokyo Nexus: Thank you for your time today. You can view part one of our interview with Dr. Grossberg here.